The TPA meets on a regular basis in room 66 (at the back of the Uniform Shop). Invitations are emailed out to all Class Reps and any parent can request for an item to be added to the agenda via their Rep. If you do not know who your Class Rep is, please contact Chris Andrews, Class Rep Co-ordinator. In general, the meeting would cover: Chair's Welcome; previous meeting minutes; Chair's update; Treasurer's update; fund-raising event information; parent volunteer engagement; requests from Tiffin School to provide hospitality; AOB. Please contact the Co-Chair for any information and/or would like to join the TPA. 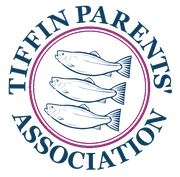 The Tiffin Parents’ Association Annual General Meeting took place on Monday 2 July 2018. The AGM was followed by Head’s Question Time with Mr Gascoigne taking questions. Our Chairman of Governors, Mr Phil Phillips, was also present and he took questions on the role of the Governors.